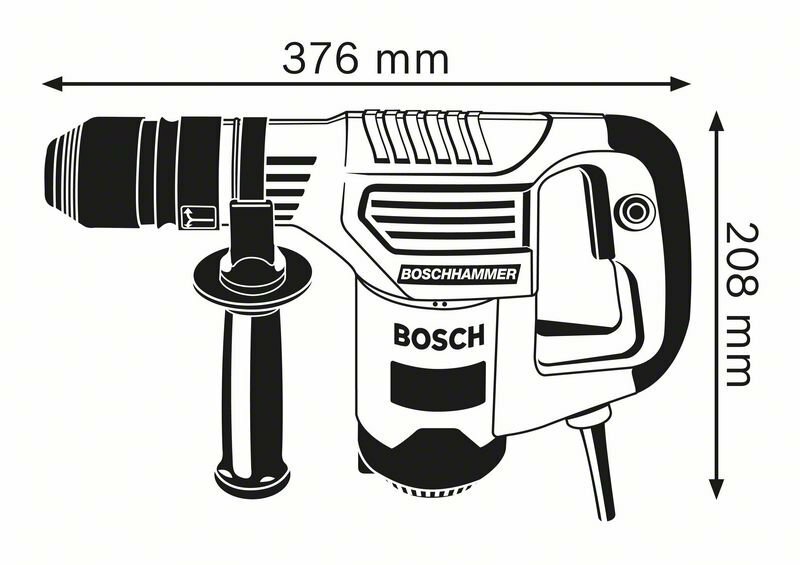 The GSH 3 E Professional is the lightest professional demolition hammer in Bosch’s SDS plus corded demolition hammer category. 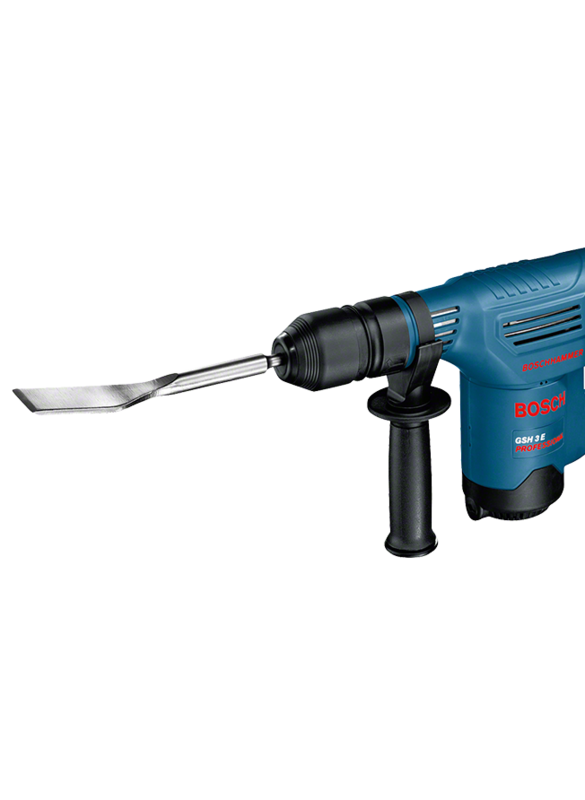 Its lightweight design and soft grip handle enable convenient handling and control for precise chiselling applications. 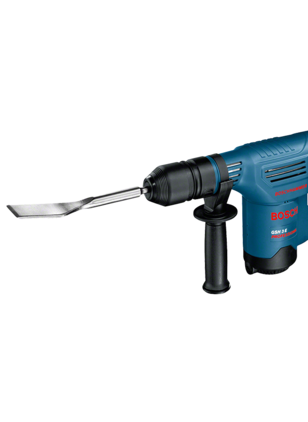 The demolition hammer also features a long performance lifetime due to its extremely robust hammer mechanism and toolholder. Furthermore, it has a Lock-on button allowing for easy continuous work. 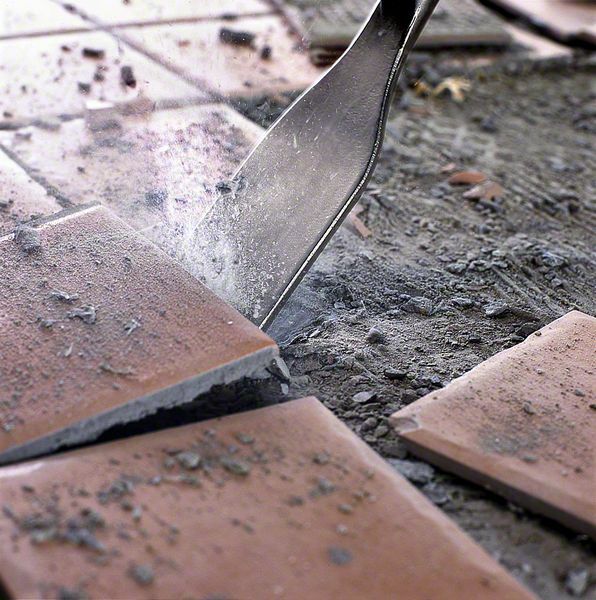 This tool is intended for chiselling in concrete, masonry, and tile. 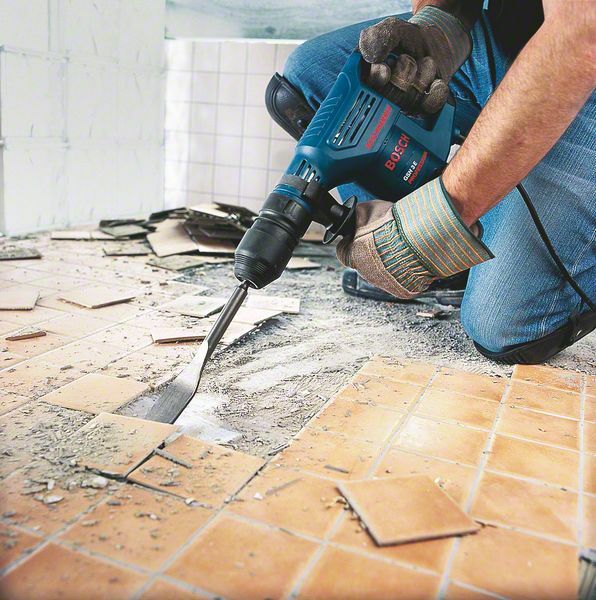 The GSH 3 E Professional's additional features include Vario-Lock and Variable Speed.